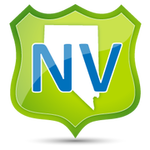 Nevada alcohol seller-server safety training ensures that sellers and servers of alcohol understand state and local liquor laws and serve alcoholic beverages responsibly. 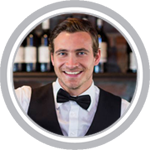 An alcohol seller-server training program can also significantly reduce the risk and liability associated with alcohol service. Clark County, Washoe County, and Carson City have mandatory alcohol server training requirments, but training is not mandated for the rest of the state of Nevada. Effective July 1, 2007, NRS 369.630 requires owners or operators of liquor establishments (i.e., hotels, bars, casinos, clubs, restaurants, grocery or convenience stores) whom hire or employ persons (i.e., cocktail servers, bartenders, food servers, waiters, waitresses, cashiers, clerks, stock handlers) that sell or serve alcohol, alcoholic beverages, or act as a security guard at such establishments to ensure such persons complete a State certified Alcohol Beverage Awareness program and hold a valid Alcohol Education Card. The Nevada Department of Taxation is responsible for the control over the importation, distribution, sale, and consumption of alcoholic beverages, which applies to all retailers, suppliers, and wholesalers who are licensed to manufacture, sell, serve, transport, or store liquor in the State of Nevada. We offer online Alcohol Safety Training in Nevada for: Las Vegas, Henderson, Reno, Paradise, North Las Vegas, Sunrise Manor, Spring Valley, Enterprise, Sparks, Carson City, Whitney, Pahrump, Winchester, Summerlin South, Fernley, Sun Valley, Elko, Spanish Springs, Mesquite, Boulder City, and many more!